This ABC Countdown is SO MUCH FUN! 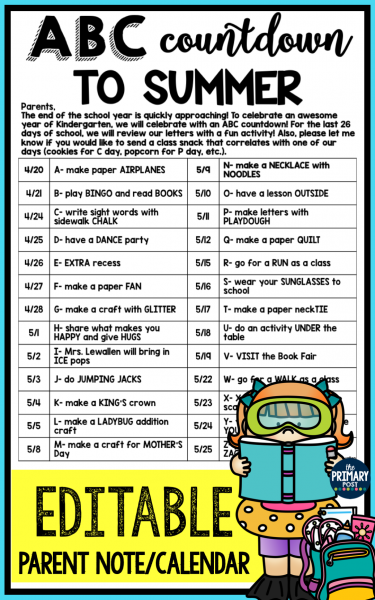 Everyone is already excited for summer at the end of the school year, so why not celebrate with fun activities and throw in a little letter review?! 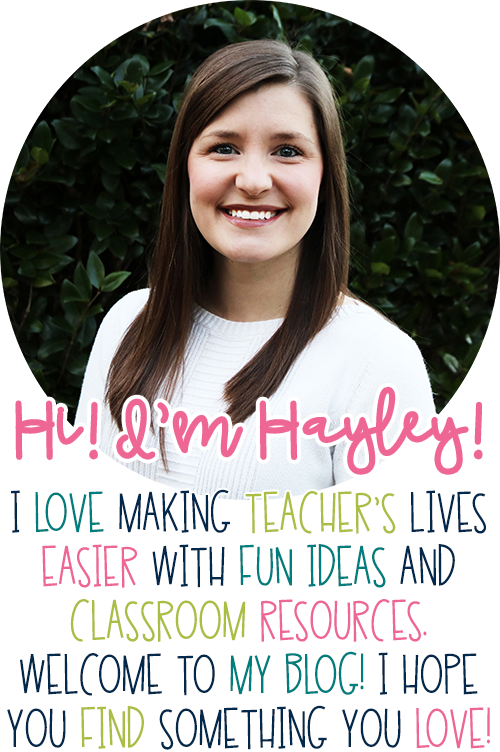 If you need a note to send home to students and parents explaining your countdown, you can click this picture and check out my EDITABLE parent note/calendar. I tried to keep all of the activities simple and low prep so this is not a stressful thing to put together- I know there is ALOT going on at the end of the school year and this is meant to be FUN! You can edit any of the activities to suit your own classroom, or keep the ones I have already typed in for you! The note also mentions parents sending in a snack to correspond with each letter if they want, so I decided to compile a list of options should you need to make some suggestions! I hope this was helpful!! Happy Teaching, friends!